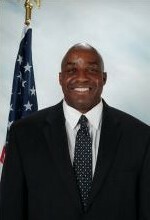 Alfred McCray is a pastor in the United Methodist Church and a public school teacher in Georgia. After graduating from High School, Alfred went into the United States Marine Corps. He completed Engineering School at Camp Lejeune, North Carolina. After completing Engineer School, Alfred served at Headquarters in the Pacific at Camp Smith, Hawaii and the 1st Marine Brigade at Kaneohe Bay, Hawaii. Alfred has been pastoring for 15 years in the United Methodist Church in New Jersey and Georgia. He pastored churches in New Jersey which included Paterson, Orange, East Orange, and Montclair. Currently he is pastoring in Newton County, Georgia. Pastoring is not his only vocation; he is also a public school teacher. He is certified in New Jersey and has taught under middle grades in Newark. He is a certified teacher in Georgia and, under NCLB, Alfred is a highly qualified teacher. Alfred received a Bachelor's Degree in Liberal Arts from William Paterson University, Master's of Divinity from New York Theological Seminary, and a teacher certification from Rutgers University.